The mission of this very small artist-run space is to create an opportunity for individuals or small groups to show and sell work within a unique and historic community, with an emphasis on local regional and indigenous art and artists. 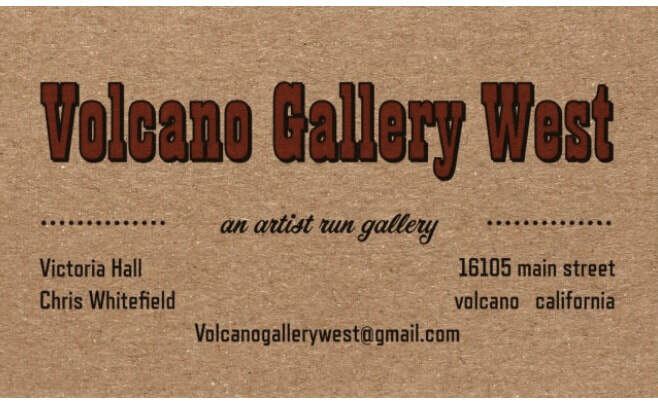 Volcano Gallery West is a well-located, cozy, and freestanding Gallery space on Main Street in Volcano, Ca, in the heart of the California Gold Country and adjacent to the original Volcano Gallery. It is ideal for art exhibitions, curated projects, creating a short-term showroom for craft or design, for curators seeking an alternative venue, for art classes or similar uses. 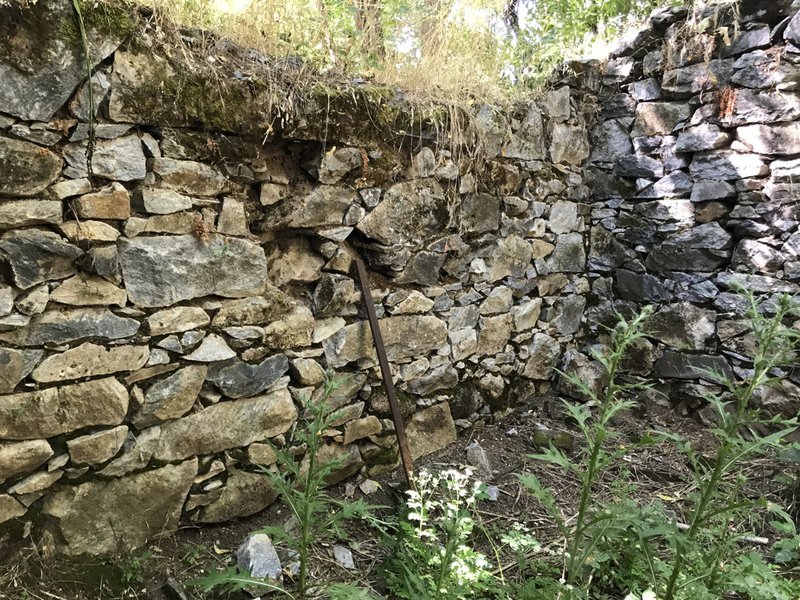 The 140 sq foot gallery is secured to the stacked rock foundation of an historical building from the 1800's, The Mustang Saloon, which served as the residence for both a noted daguerrotypist and Chinese apothecary during the peak of the California Gold Rush in the 1850's . Rental is generally on a single month basis, with shorter term (1-2 weeks, or even a 1-day event) periodically available. -Desirable location on the east end of Main Street, across from the historic St. George Hotel. The Gallery is flanked by the original Volcano Gallery to the left and the celebrated Volcano Theater Company Amphitheater to the right. There are a Bakery, General Store, Antique and Curio Store, Indoor Theater, Outdoor Park, Armory Hall, Saloon, Inn and highly rated restaurants all within two blocks.